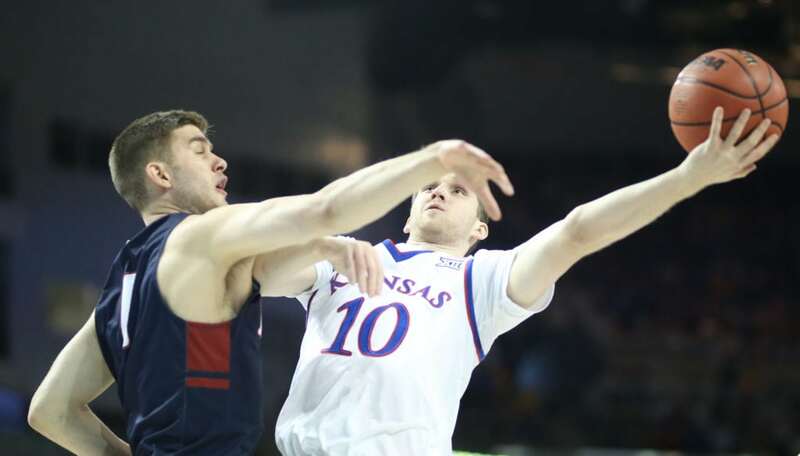 Kansas guard Sviatoslav Mykhailiuk (10) tries to get a shot off against Penn forward Max Rothschild (0) during the first half, Thursday, March 15, 2018 at Intrust Bank Arena in Wichita, Kan. Offensive rebounding is a real strength of Seton Hall’s, and it goes beyond big man Angel Delgado, who ranks eighth nationally at almost four per game. As a team, the Pirates rank 37th nationally in offensive rebounding, getting 12.2 offensive boards a game, and 28th in the nation in getting 34.1 percent of available opportunities. KU, meanwhile, as you all know, ranks 280th in the country in giving up offensive rebounds, allowing opponents to get 31.2 percent of their misses back. 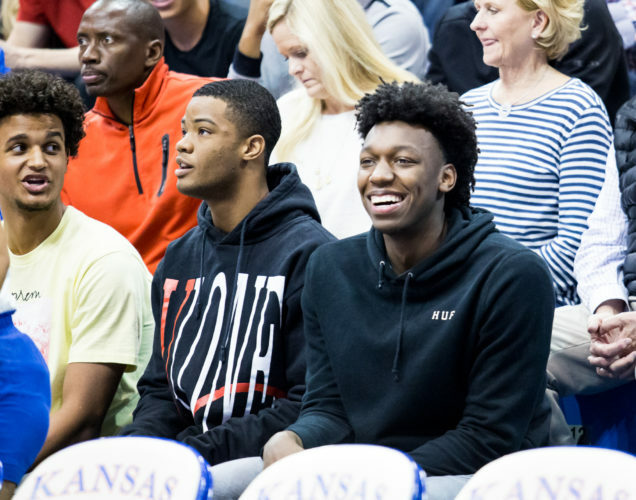 KU’s guards have shown they can hit the glass, especially Malik Newman and Svi Mykhailiuk. And all five of them will have to be willing to do that kind of work in order for KU to neutralize what should be Seton Hall’s biggest edge. 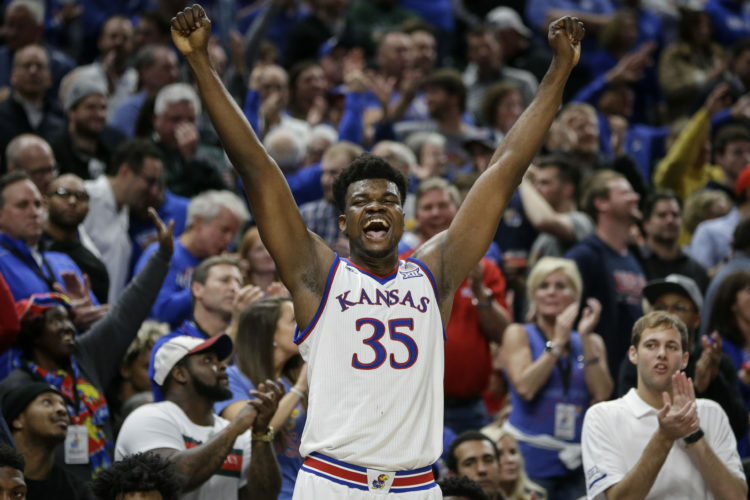 After one game to get used to the idea of what the NCAA Tournament is all about, the Kansas players who experienced it for the first time on Thursday night believe they’re ready to show a better effort in Round 2. Beyond that, the Jayhawks appear to be in better shape defensively in this one. 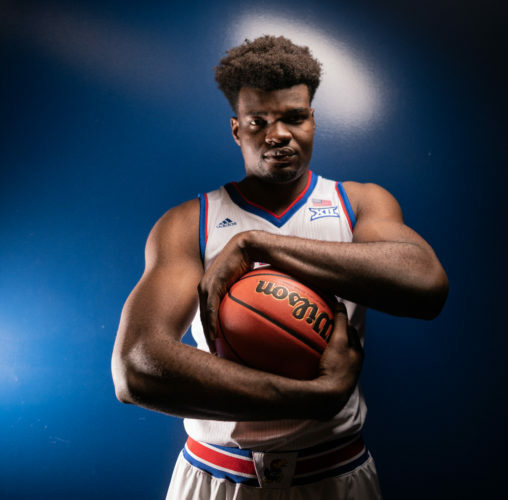 Not only will they have center Udoka Azubuike back on the floor — at least for roughly half of the game — but they also won’t have to alter what they do as they did to account for Penn’s slightly different attack. Both of these teams like to get out and run, and both are more than capable of doing it. But as far as which team does it better and a little more naturally, that would be the Jayhawks. 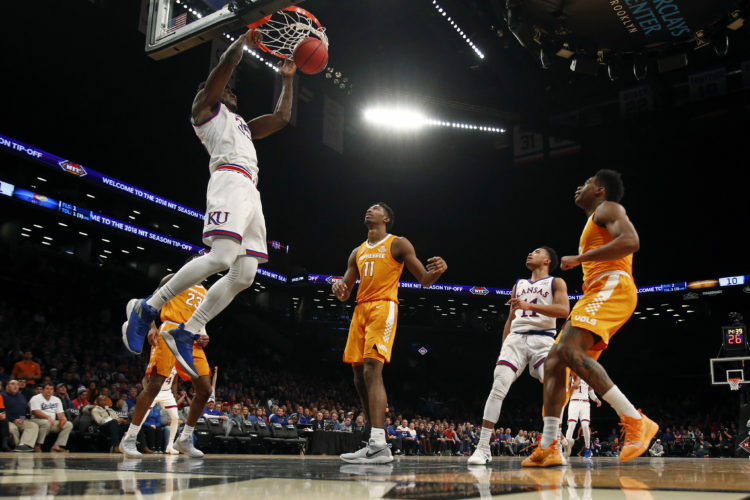 Willard knows that, and he outlined a key aspect of the Pirates’ game plan that could help keep the Jayhawks from running free too much in this one. 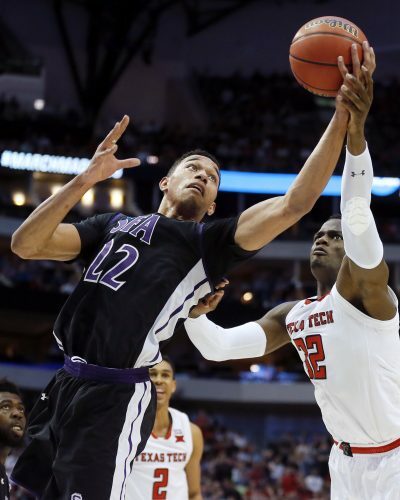 As for the Jayhawks, they want to play fast and get easy buckets in transition to try to negate some of the size advantage the Pirates have down low. Statistically speaking, these are two of the 20 most efficient offensive teams in the country, with the Jayhawks ranking sixth in the nation (120.8) and Seton Hall sitting 19th (116.9). Although that means a bunch of different things and includes a number of different offensive statistics, 3-point shooting is a big part of it and could play a huge role in this game. If that’s the case, the Jayhawks should have a slight advantage. Not only is Kansas outshooting Seton Hall, 40.3 percent (12th nationally) to 36.3 percent (104th) for the season, but the Jayhawks also rank higher than the Pirates in 3-point defense, allowing 32.9 percent from deep compared to 33.5 percent for Seton Hall. Although those numbers might seem small by comparison, they’re actually fairly large over the course of a 30-plus game season and made even more noteworthy by the fact that KU made just 7 of 17 from 3-point range in its opener — both numbers below KU’s season averages — and Seton Hall hit slightly above its average (7 of 21, for 33.3 percent) in its opening-round win over NC State. 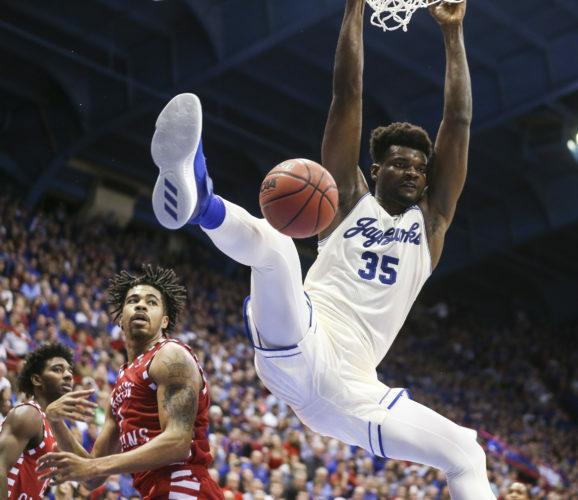 Fifty-four percent of Seton Hall’s points come from 2-point range, and if the Jayhawks can keep it that way while also returning to form in their own 3-point shooting, it could be enough to move KU into the second round. It’s the NCAA Tournament. From this point on, if you still have a pulse, you’re doing well. G – Lagerald Vick, 6-5, 205, Jr.
F – Mitch Lightfoot, 6-8, 210, Soph. G – Khadeen Carrington, 6-4, 195, Sr.
G – Myles Cale, 6-5, 200, Fr. G – Myles Powell, 6-2, 195, Soph. F – Desi Rodriguez, 6-8, 220, Sr.
C – Angel Delgado, 6-10, 245, Sr.